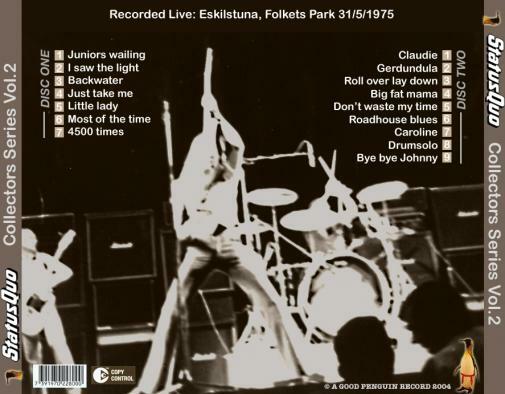 Main Setlist: Junior's Wailing, I saw The Light, Backwater/Just take me, Little Lady/Most of the Time, 4500 Times, Claudie, Gerdundula, Roll over lay Down, Big Fat Mama, Don't waste my Time, Roadhouse Blues, Caroline, Drumsolo, Bye Bye Johnny. 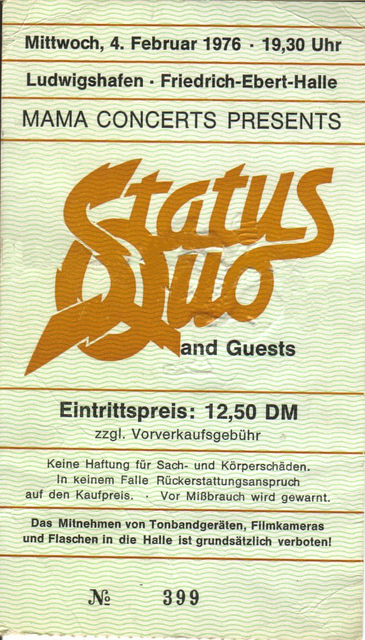 Additional/unusual songs performed: Nightride in the Set for a short time. 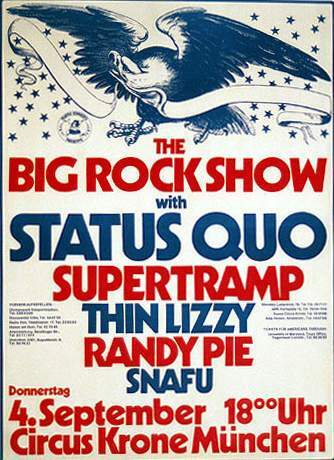 Support Bands: Hustler, Snafu*, Snafu & Thin Lizzy** (Germany), Pretty Things (UK dates) and a couple of US Arena / Stadium Gigs supporting Slade and ZZ Top, Lynyrd Skynyrd, Aerosmith, Kiss, Blue Öyster Cult, Bob Seger, Ted Nugent and Black Sabbath. 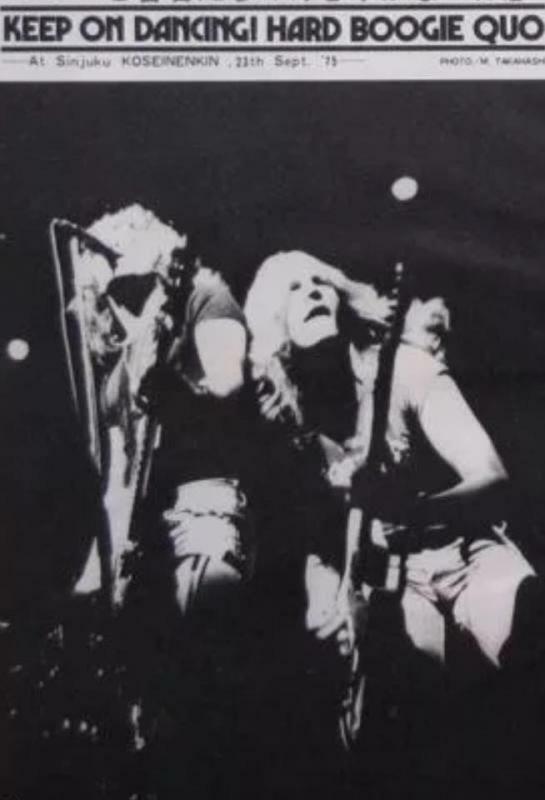 Tour Note: A few shows in France and Switzerland were cancelled or rescheduled due to problems with promoter (Colmar, Strasbourg, Marseille, Nancy and Dijon - Winterthur and Zofingen rescheduled). 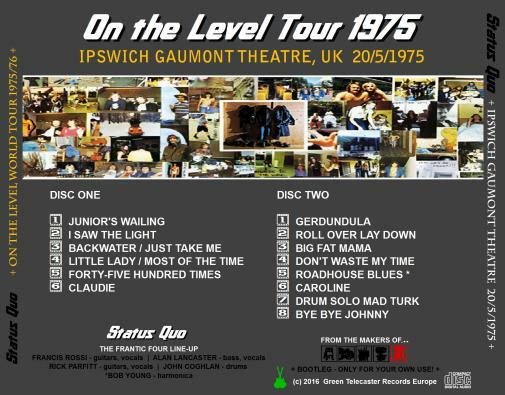 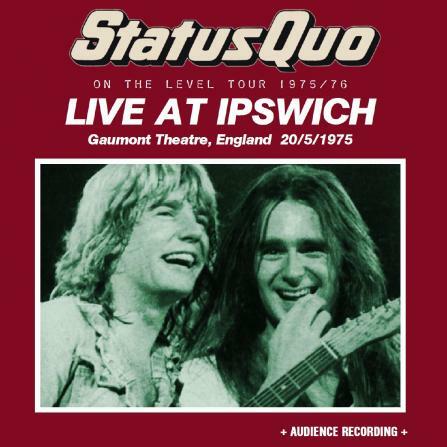 28.02.1975 - the band recorded a couple of UK shows (Southend, Bristol, Stoke and Lancaster) for a future Live album release but the band wasn't too pleased with the recordings. 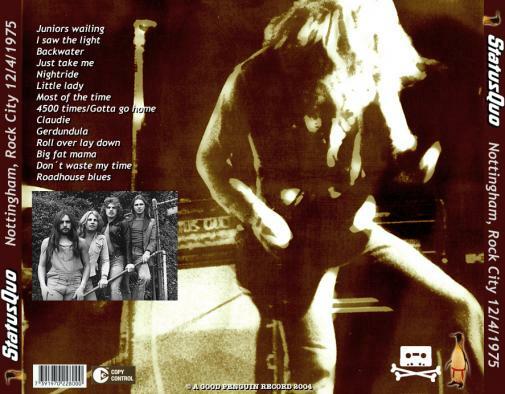 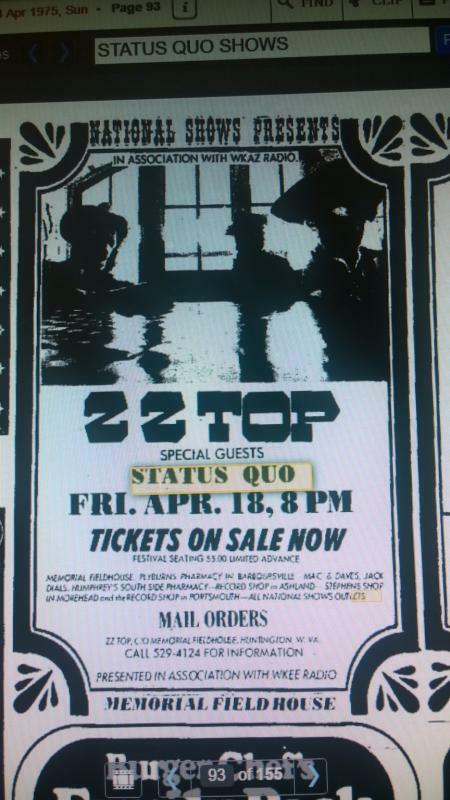 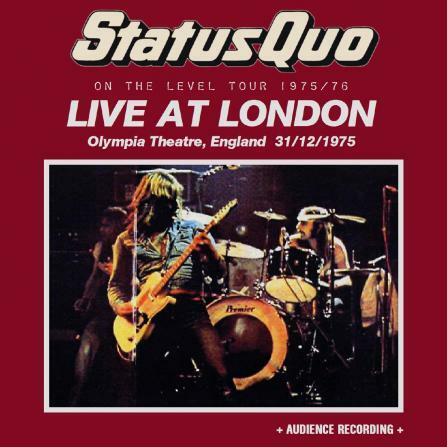 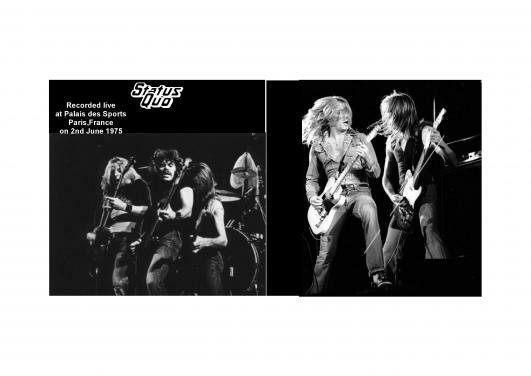 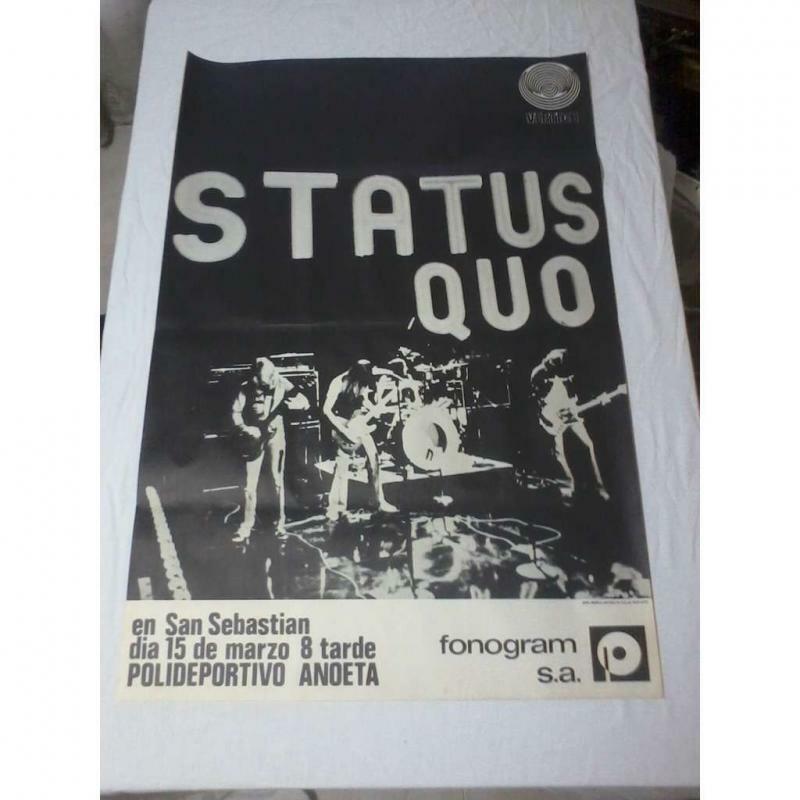 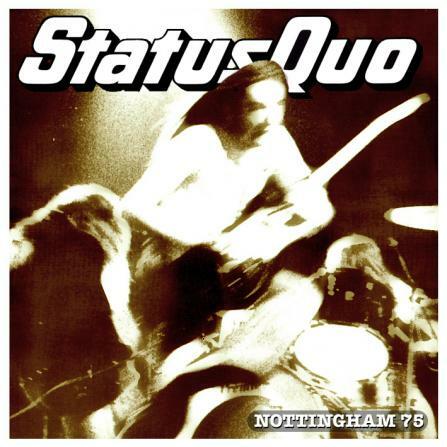 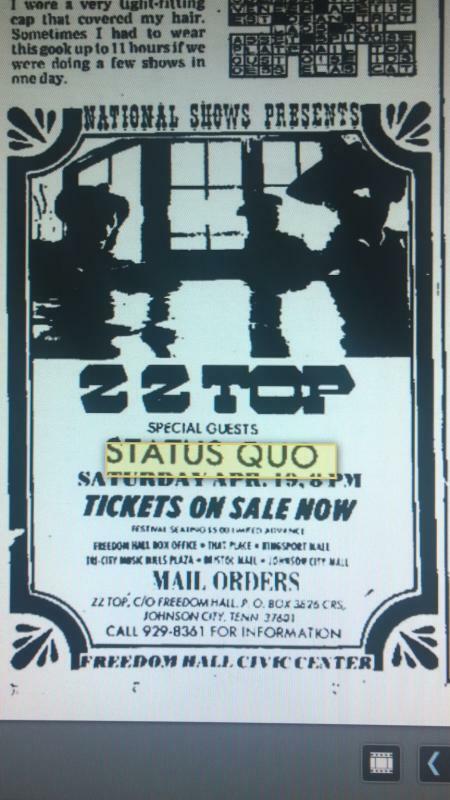 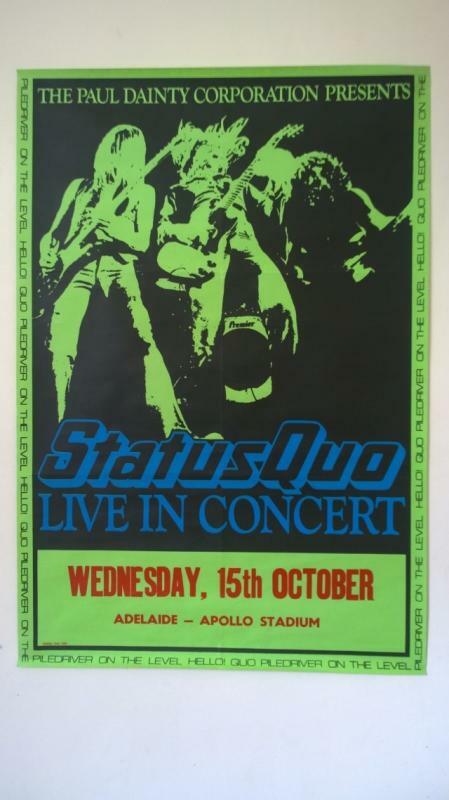 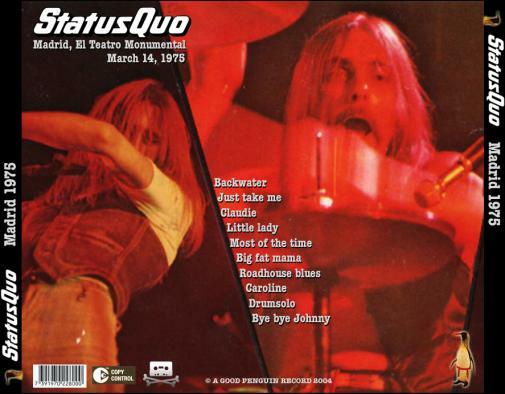 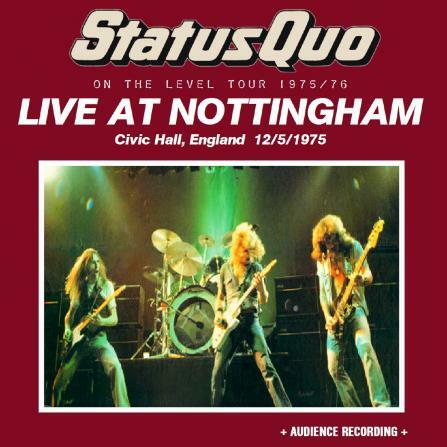 30.03.1975 - in March and June 1975, Quo were once again preparing to travel to America, again in a mainly supporting capacity for bands like Blue Öyster Cult, Lynyrd Skynyrd, Aerosmith, ZZ Top, Kiss and Slade. 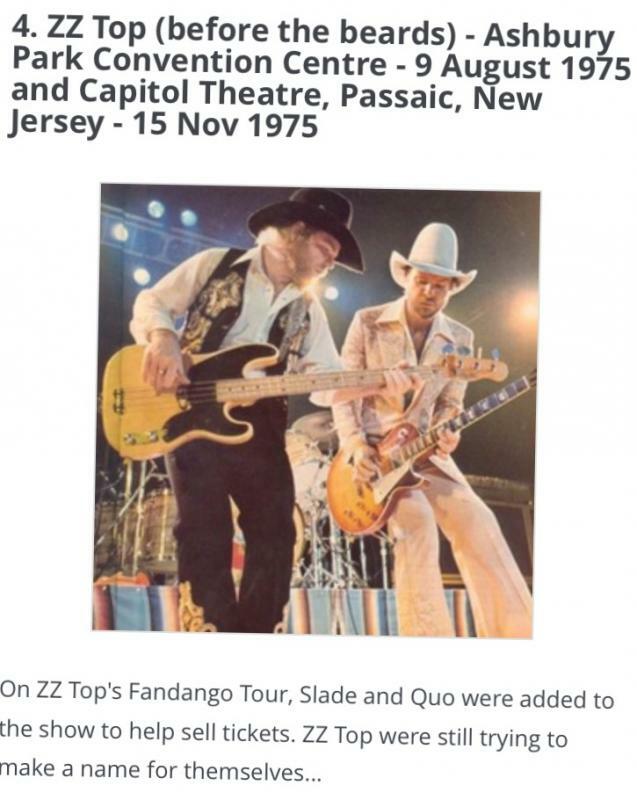 Many of the venues on the US spring tour were 3.000 seater indoor shows and the audience reaction was as positive as it had been on their previous visits. 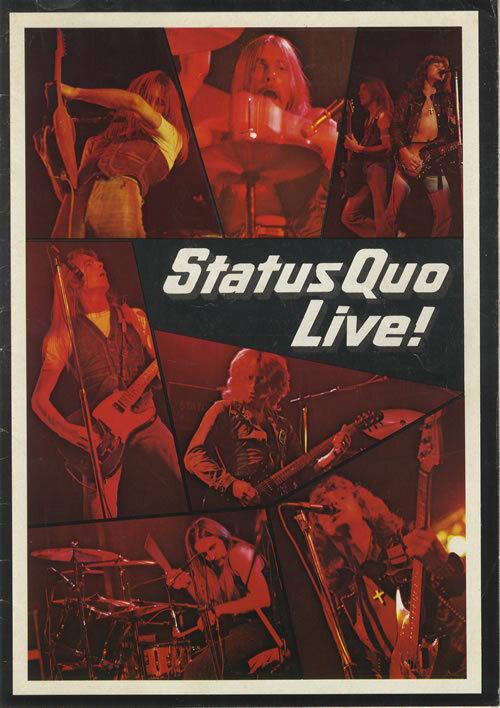 Unfortunately, this enthusiasm once again failed to generate the much needed US radio airplay that would inevitably lead to increased record sales and commercial success. 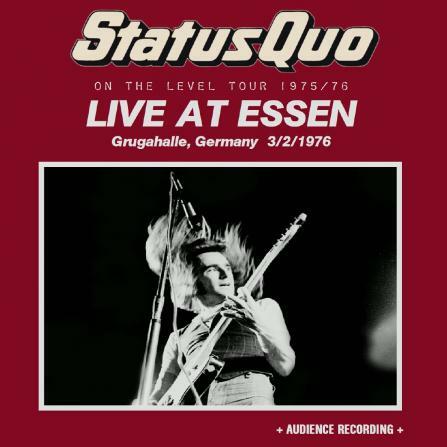 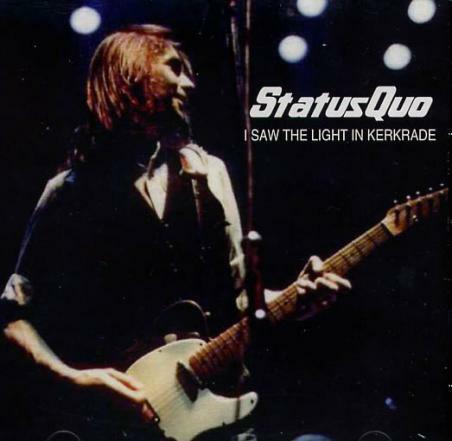 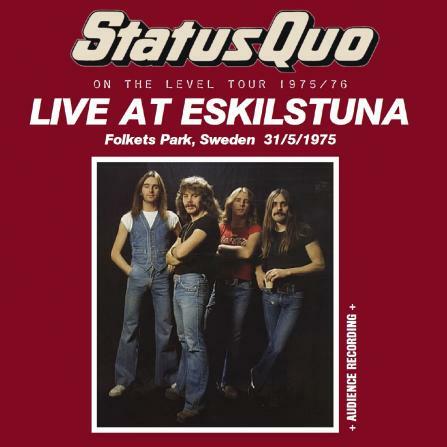 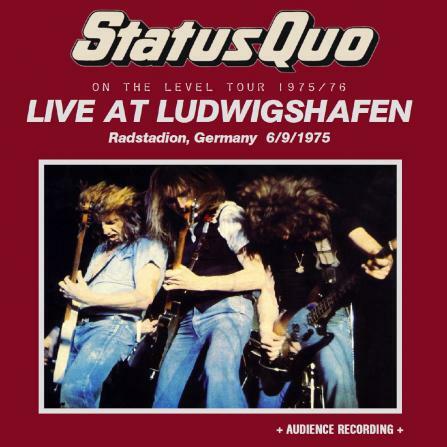 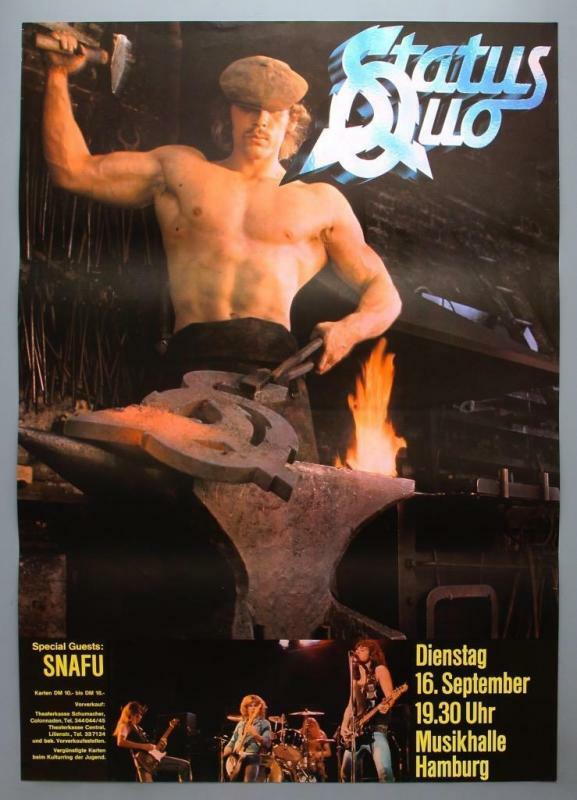 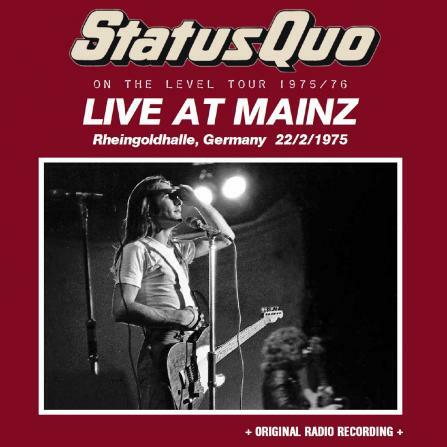 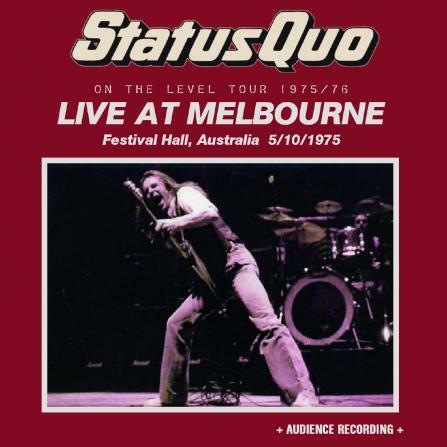 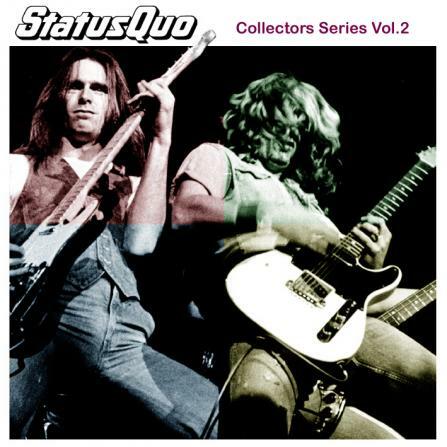 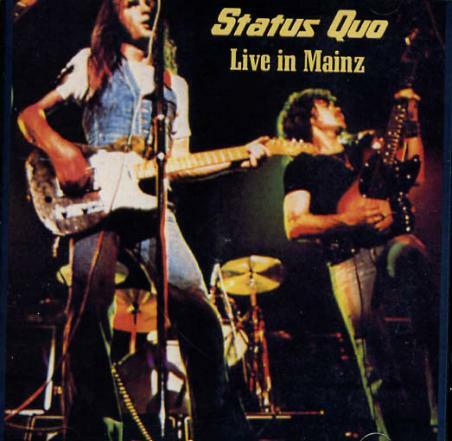 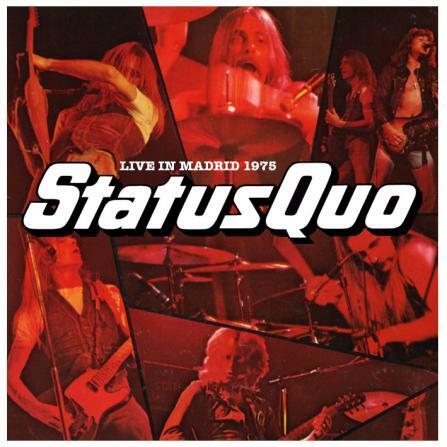 22.05.1975 - the show at the Rheingoldhalle in Mainz/Germany was broadcasted from the south-german radiostation "SWF3" and showed the atmosphere at a Status Quo show perfectly. 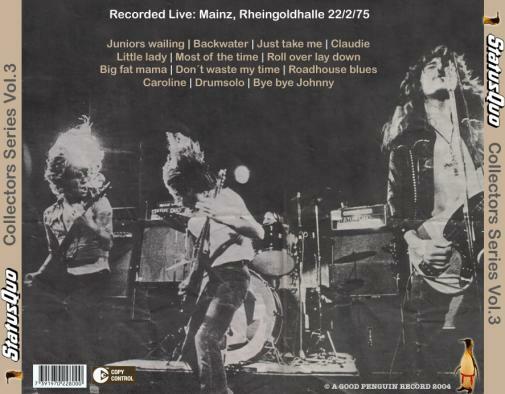 The big south-german newspaper "Süddeutsche Zeitung" wrote in their review of the Munich gig: "The Kongress-Saal was packed. 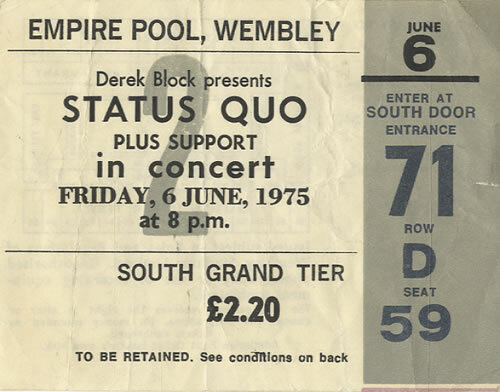 And the audience was already standing upon their chairs, before the first note was played. 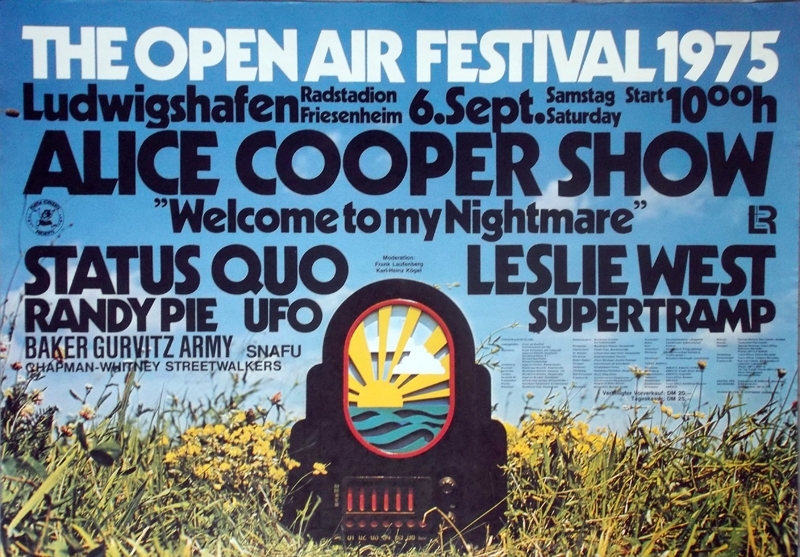 That wasn't seen in Munich for many years." 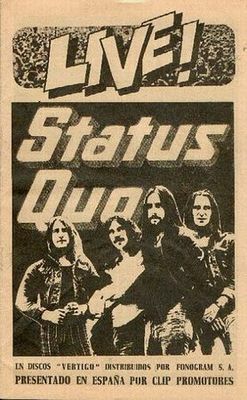 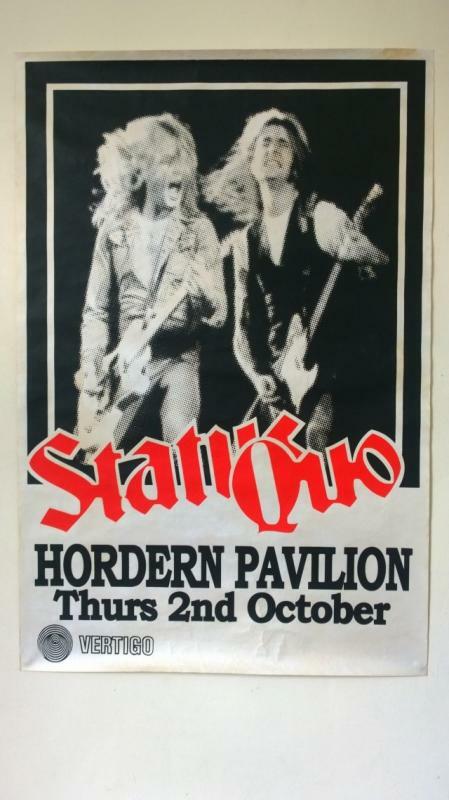 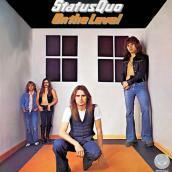 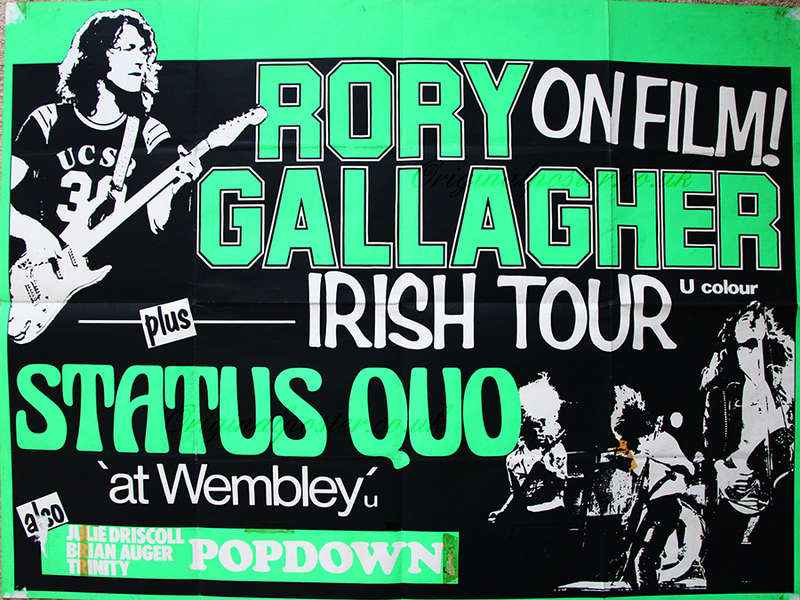 23.09.1975 - Quo's first venture to the Far East and a small tour of Japan. 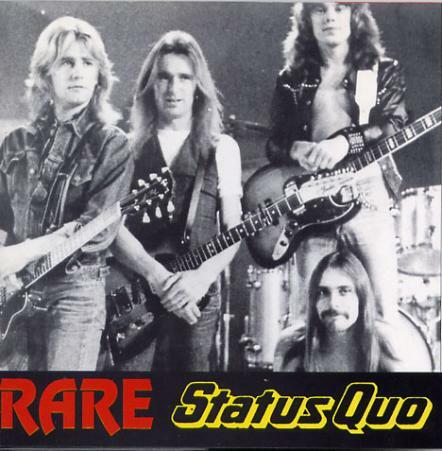 11.12.1975 - Just after the Gig at Paris Palais des Sports, Quo received their first french gold disc for the album "QUO".